Halloween in Wine Country = day after hangover! Cure? Oregon pinot, of course!! 50% OFF, amazing price, and a newcomer (to us, anyway) that we were unprepared for --- “Really? THIS good? This price…??? !” An outrageous buy for a big flavor, silky Willamette pinot!! Located directly atop the 45th parallel, halfway between the equator and the North Pole, at the same pinot-friendly latitude as Burgundy, Cherry Hill was just that, a cherry orchard, before being planted to pinot noir in the 90s by William Hill (of Napa fame). We were simply not ready for how good this was going to be. Once we tasted it, and negotiated this price, we took every single bottle they would give us. On the elegant side, but just wonderfully balanced and loaded with black cherry, framboise and zippy anise and clove notes, just super easy-going and quite simply a pleasure to drink. Really, what else do you want in a wine, anyway?? At our price? We call it “case-worthy”! Killer Oregon pinot! Woo hoo! Where’s our glass? While it lasts….. The area has been known as Cherry Hill as far back as the local lore runs in this young corner of America. Wild cherries have always grown here, and much of our 150 acres were planted in sweet Royal Anne cherries in the 1960s. Even earlier the hill was planted to prune trees, which produced succulent fruit. Indeed, the entire Willamette Valley is known for wonderful soil and a long, moderate growing season that is just right for agriculture of all kinds. In the early 1990s the property was purchased by the legendary William Hill, one of the early visionaries of the Napa Valley. Hill’s special facility with hillside sites is famous: he developed Atlas Peak, Diamond Mountain Ranch, Mount Veeder and other distinctive appellations in the Napa region. That same ‘nose for slopes’ led him to the Eola Hills. The undeveloped rural district had all the right ingredients for world-class pinot noir: the right cool climate, southwestern slopes, elevations between 250-500 feet, and the essential rich, well-drained Jory soils. (In fact, Jory soil is named for nearby Jory Hill in Oregon’s Marion County.) William Hill acquired a large tract of land here in the Eola Hills early in the 1990s. He divided the property into three separate parcels, all of which are now planted to pinot noir and one of which was purchased in 1998 by our own Mike Sweeney. 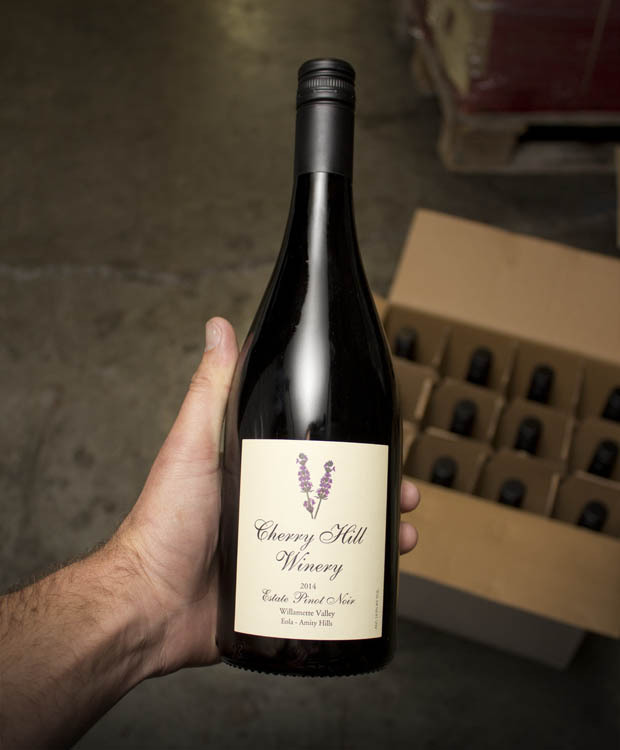 We at Cherry Hill continue to pursue our own Holy Grail: producing a perfect Pinot Noir from some of the best fruit acreage on the planet. Entrees of fish, beef, wild game, and pastas.